Hiking is a thrilling activity any season of the year. Trekking up a mountain is a stunning way to spend your afternoon or your week-long vacation. Along with the sheer beauty and natural appreciation that comes with rambling through a trail, mountaineering also enhances your health and improves your mood. Famous locations such as the Appalachian Trail and Yellowstone National Park should be on hikers’ bucket lists, but getting to them is not always possible, depending on how much time you may have and if you come across any travel restraints. But, chances are, regardless which state you live in, there is a spectacular hike for you to embark on. 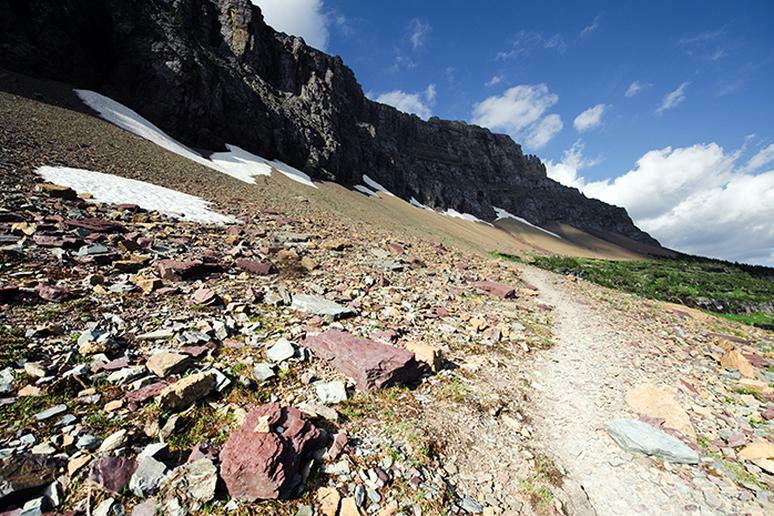 Montana is like a promised land for hikers. The Big Sky State has extraordinarily diverse topography. 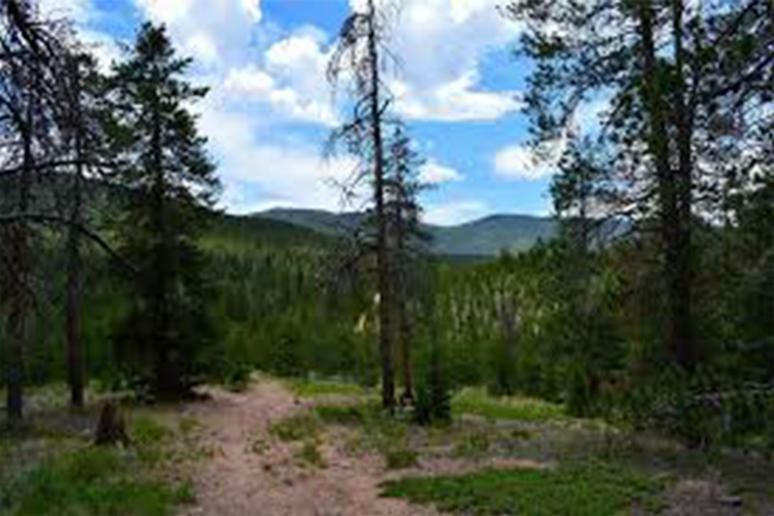 East Rosebud Trail is a family and dog-friendly trail, popularly known as The Beaten Path. 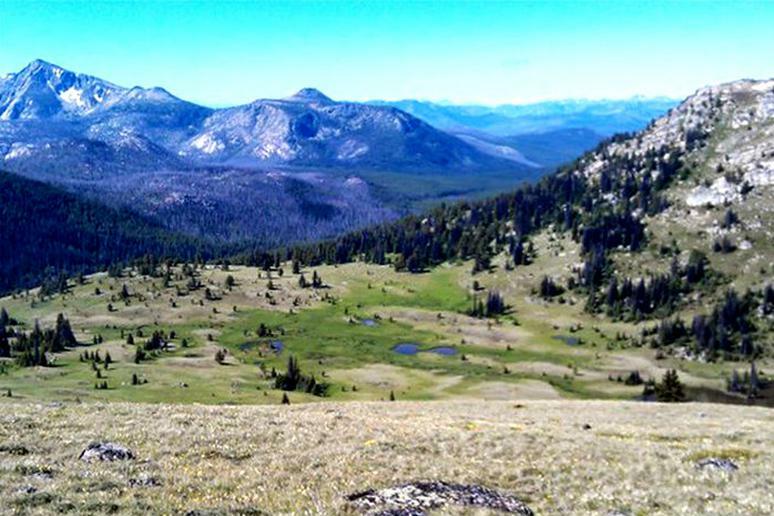 You will be hiking for about 25 miles, crossing some of the most remarkable landscapes within the 944,000 acre Absaroka-Beartooth Wilderness. Play with animals that may walk right up to you, swim or go fishing in the many lakes along the way. Also, prepare for some snow even in July because the trail passes through high elevation alpine terrain. 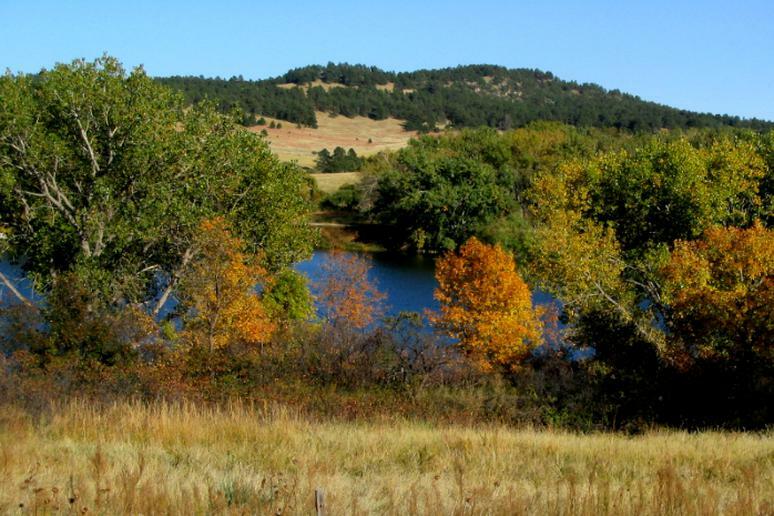 Along the 5.2-mile Norwesca Trail in Chadron State Park you will explore hidden valleys and climb rough hills. It’ll take you about half a day to complete the route. Start from the Pine Cone Butte and go clockwise. The loop combines several trails in Chadron State Park. Other amazing spots for hiking in the Cornhusker State include the Hidden Lake, a varied 3.5-mile loop not far from Downtown Omaha; Conestoga State Recreation Area near Lincoln, and the Daemonelix Loop, where you can see fossilized dens, roots, and Miocene-era remains. 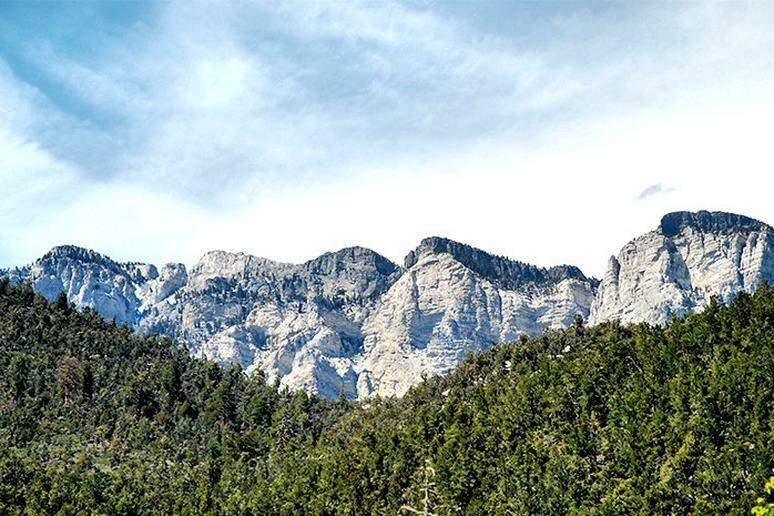 There are 51 miles of trails throughout the Spring Mountains National Recreation Area. At 11,918 feet, Mt. Charleston is a “peakbagger's dream,” according to Backpacker. This is a strenuous, high-altitude, but not technical climb. Follow it and you’ll get to the top of the most prominent peak in Nevada. Some easy hikes are the Bristlecone Trail (5 miles, round trip), Fletcher Canyon, and Mary Jane Falls. Moderate hikers will like Bonanza Peak, where you’ll come across wild horses, Cathedral Rock for stunning views of Kyle Canyon, and Raintree where you can see a 3000 year old Bristlecone Pine tree. The 11-mile hike to Zealand Falls is fairly difficult. New and experienced hikers love the trail because it takes them through green pastures, wildflowers, beaver ponds, and, finally, 25-foot falls, and the Appalachian Mountain Club (AMC) hut. The route is also kid-friendly because of the easy terrain and low elevation gain. All you need is hiking boots, water and some snacks. 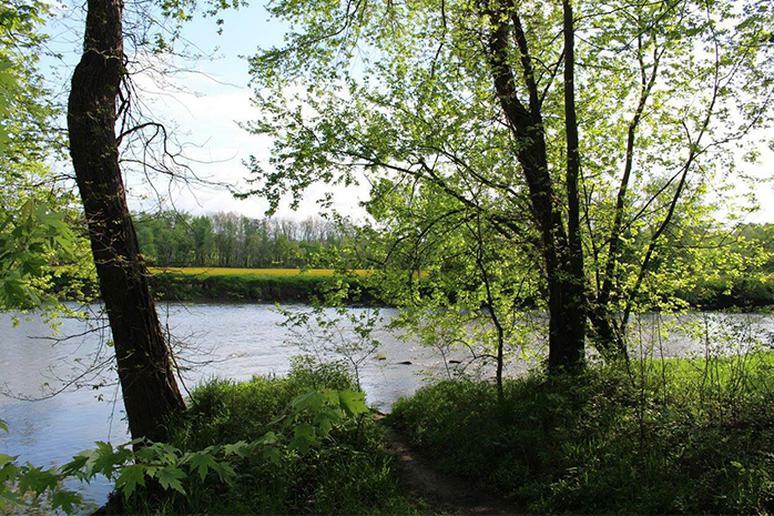 Hike in the incredibly scenic Washington Crossing State Park and you’ll be hiking with history. 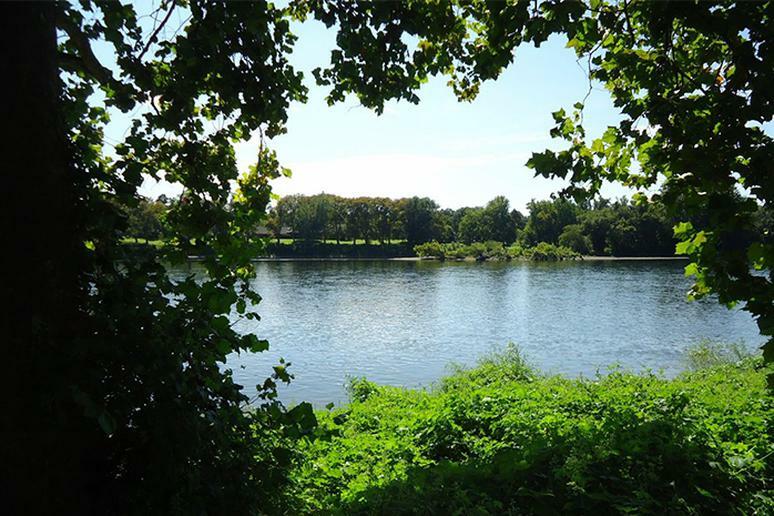 You’ll be very close to the site of George Washington’s crossing of the Delaware River and the Continental Army’s route to Trenton in 1776. The 7.2-mile route is mostly dirt and roots, but not a lot of rocks. There will be some minor hills to climb, but nothing too strenuous. Advanced hikers can extend the trail by crossing into Ted Stiles Preserve. 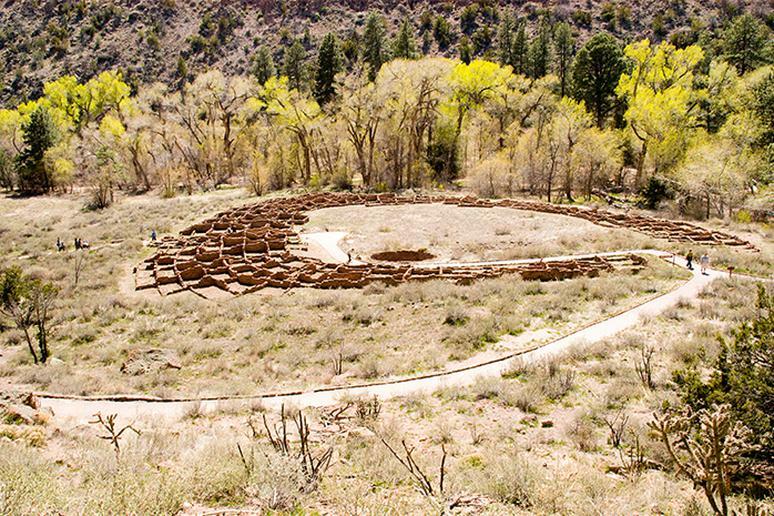 The Yapashi Ruins Trail, usually rated as “strenuous,” is an ancient Native American route that climbs onto the plateau, down into a canyon, and then back up to the ruins. You’ll cover about 12 miles, round trip. This is a challenging walk, mostly due to the climbs in and out of several beautiful canyons, especially Alamo, to ancient ruins and a large unexcavated pueblo ruin. 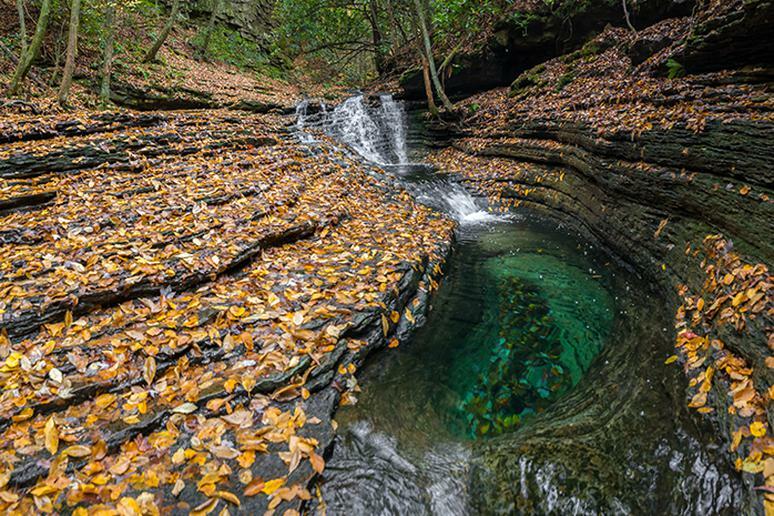 Choosing where to hike in New York State is a difficult task. Diverse landscapes offer endless opportunities for outdoor activities. The Giant Mountain and Rocky Peak Ridge is a stunning 11-mile hike in the High Peaks with a gorgeous crest descent with otherworldly panoramas and rare alpine vegetation. The ascent to the 4,000 feet peaks are difficult but the photos you’ll take are worth it. 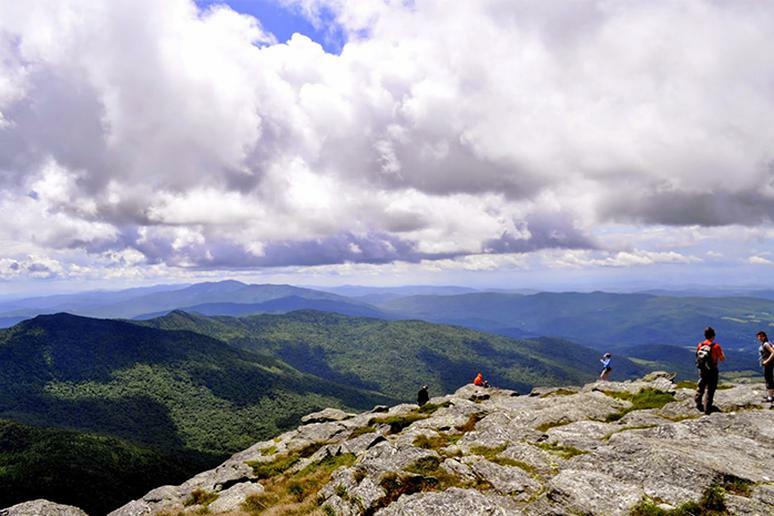 Other spectacular hikes in the Empire State include Whiteface Mountain, Mount Esther, Mount Marcy or any of the 46er Peaks. Grandfather Mountain is a rocky, spectacular summit known to tourists for the great views from its privately owned road and Mile-High Swinging Bridge, according to Trails.com. The top is one of the area’s best natural areas, with a wonderful grid of trails. 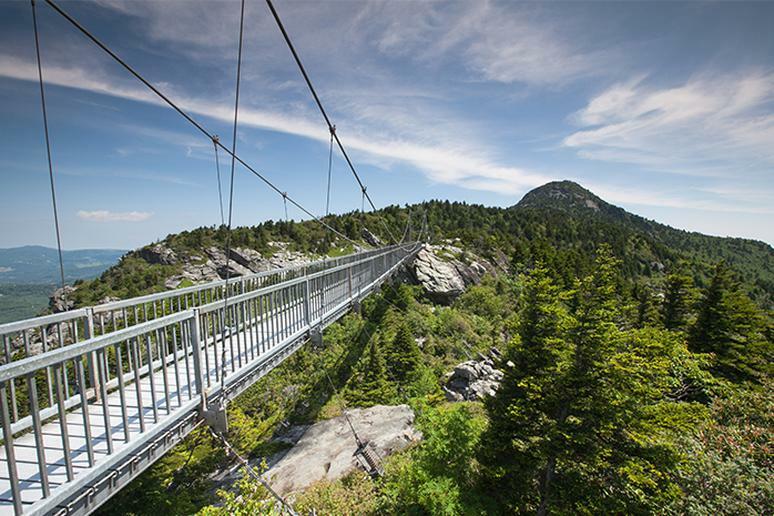 Grandfather Mountain’s 4,000 acres boast 43 species of rare or endangered plants and animals, more than Great Smoky Mountains National Park. The hike, which ranges from easy to difficult, is about 5 miles and you’ll be going up to 1,800 feet in elevation. The North Dakota part of the North Country National Scenic Trail is absolutely stunning, and enormous. You’ll be passing by all kinds of natural wonders such as wetlands, the Sheyenne River bottomland forest, grazing pastures for cattle and buffalo, wildflowers, and rolling glacial hills. You’ll also get a chance to see bonanza farms, grain-hauling railroads, dust bowl sand dunes, ghost towns, and Native American cultural sites. Camp somewhere along the way at night for some of the most amazing clear dark skies you’ll ever see. 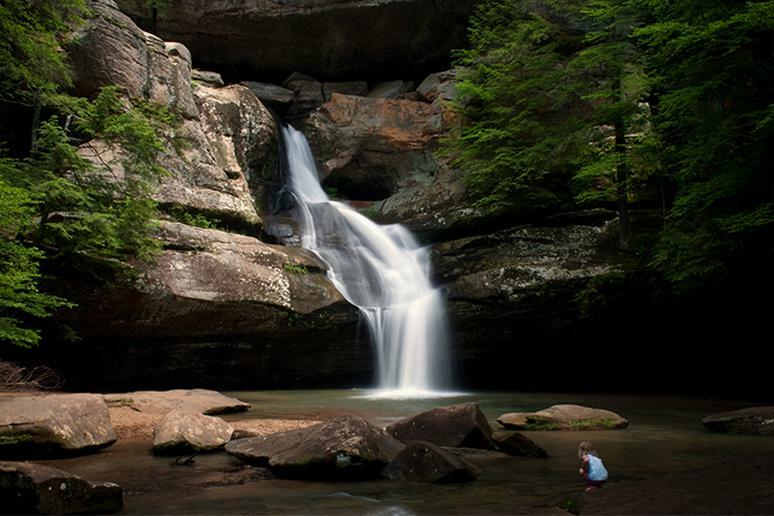 Hike in Hocking Hills State Park and you’ll witness majestic waterfalls and huge rocksand deep caves, to name a few. 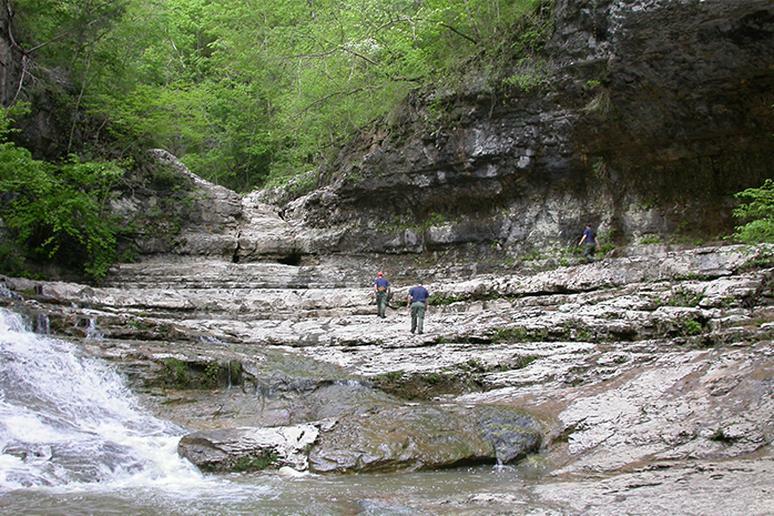 The most popular hike is the Old Man's Cave, located on State Route 664. At the Upper Falls, the Grandma Gatewood Trail begins its 6-mile course connecting three of the park's areas. Ash Cave, the largest recess cave in the state, is in the southernmost reaches of Hocking Hills. Many call it the absolute most spectacular feature of the entire park. 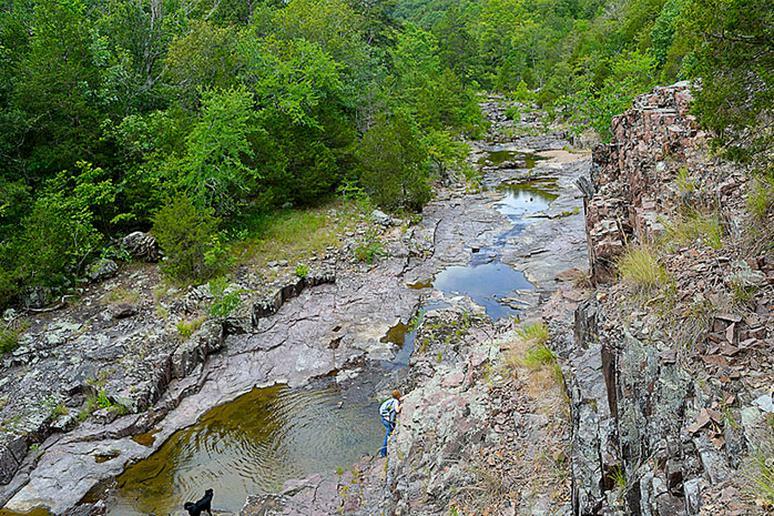 Dripping Springs Trail is just about a mile long but it’s one of the most stunning hikes in Oklahoma. Located near Colcord, it is only moderately crowded. The main attraction is the 77-foot tall falls. People love it because the route is easy and the vistas are stunning. 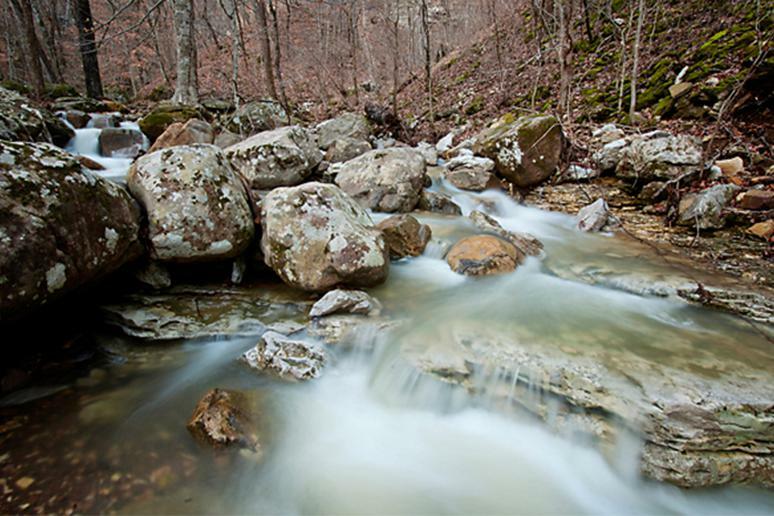 Overall, there are more than 60 scenic Oklahoma trails. 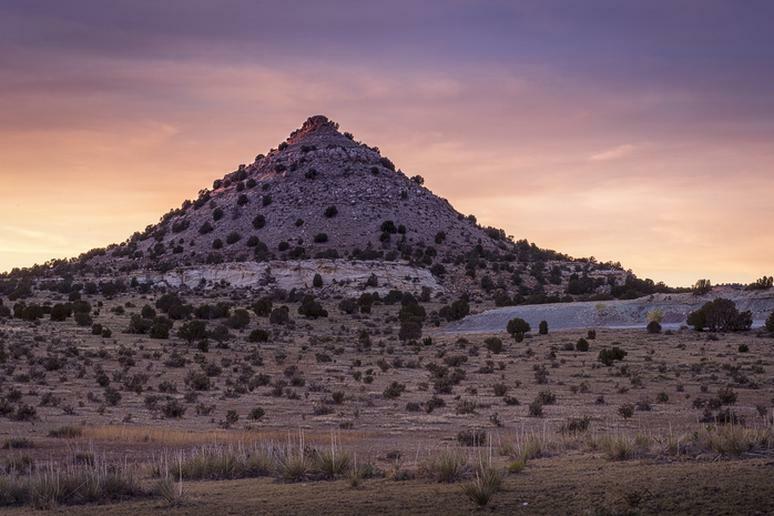 The Black Mesa summit trail, the state’s striking 4,973-foot state highpoint, is another spectacular hike. Kiger Gorge Overlook provides a prime viewing opportunity for one of the most remarkable geologic landscapes in the Northwest. 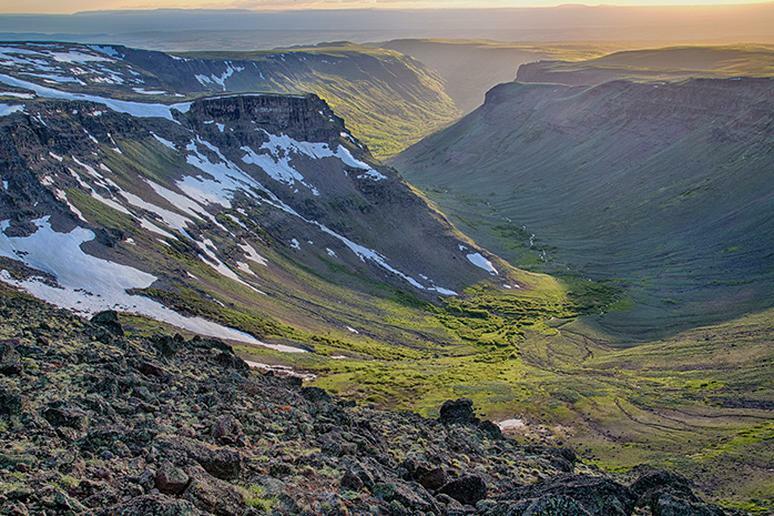 According to Bureau of Land Management, during the Ice Age, glaciers formed in the major stream channels on Steens Mountain. “These glaciers dug trenches about one-half mile deep, through layers of hard basalt. The result was four immense U-shaped gorges – Kiger, Little Blitzen, Big Indian, and Wildhorse.” Kiger Gorge is the largest. 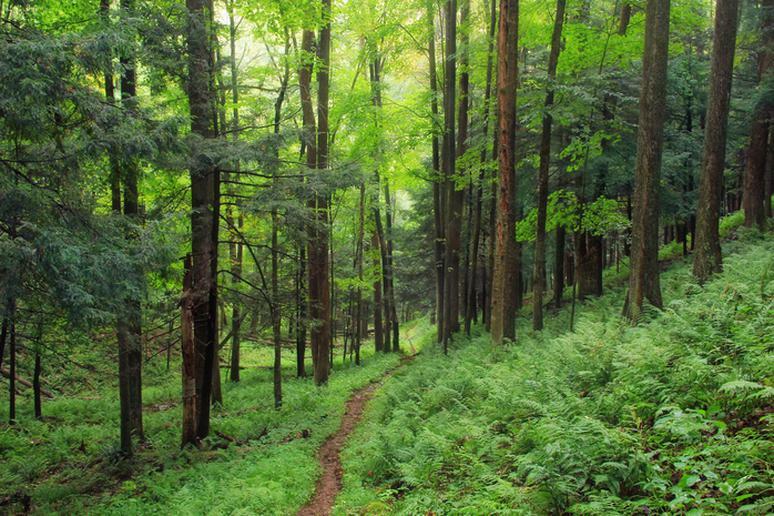 Susquehannock State Forest derives its name from the Susquehannock tribe that once inhabited the region. It comprises 265,000 acres and grows some of the most productive stands of black cherry trees in the world, according to DCNR. The trail system is an 85-mile loop through the green forested hills and valleys. For about 10 miles there are no roads at all. Horseback riding and mountain biking are other popular activities. Nestled in a few rustic towns, Arcadia Wildlife Management Area covers a total land of a remarkable 13,817 acres. This area’s forest cover is its dominating feature, with 64 percent deciduous forest and 36 percent evergreen cover, principally white pine, according to Visit Rhode Island. Freshwater wetlands, including swamps, marshes, Breakheart Pond, Beach Pond and Browning Mill Pond, cover 1,678 acres. Hikers will probably catch a glimpse of rabbits, snowshoe hare, and wild turkey. 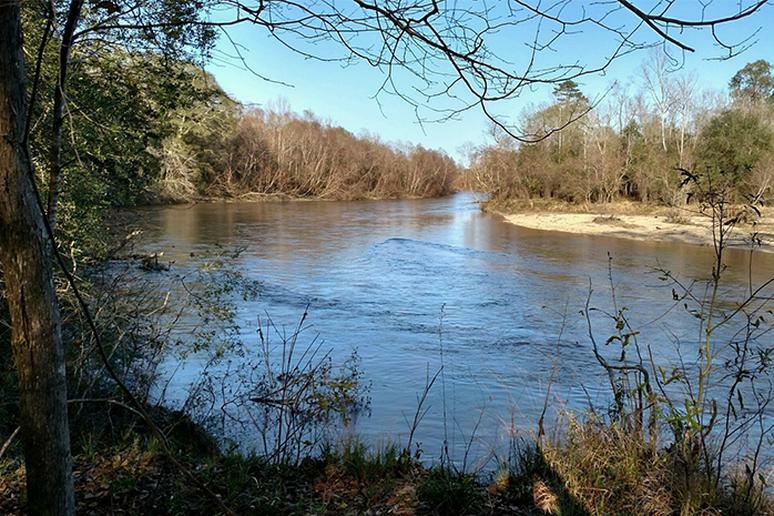 “Bush whack through the jungles of Congaree National Park to find the River Trail, and then find sanctuary on one of the secluded beaches,” Backpacker says. Creeks for canoeing and fishing are everywhere. 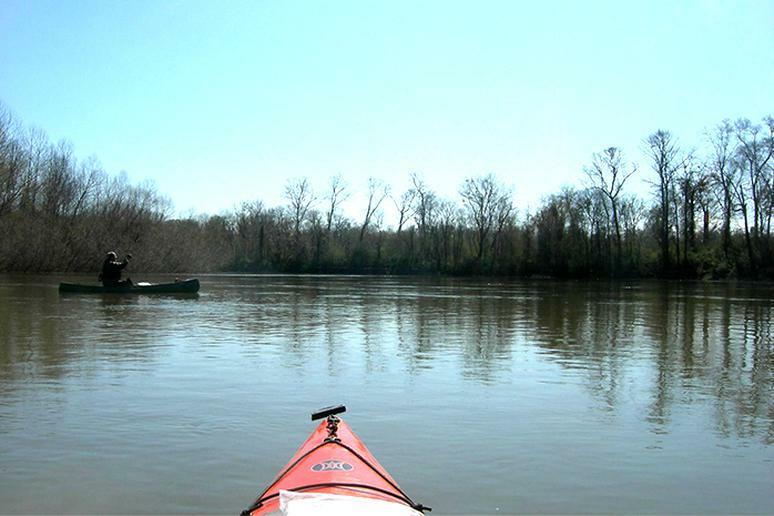 The Congaree River Blue Trail is a 50-mile designated recreational paddling trail. Paddlers have quick access to the Three Rivers Greenway hiking trails, according to the NPS. Another popular hike is the Yellow Branch Falls Trail. The 3.5-mile out and back trail near Walhalla has a waterfall and is ideal for new and experienced hikers. Devil’s Bathtub is one of the most worthwhile hikes in Spearfish Canyon. It can be quick but you can take your time soaking up the gorgeous views and make it a day trip. While hiking the tiny limestone corridor, you’ll have to cross streams, walk on rocks, and balance yourself on a makeshift bridge. Look up from time to time and you’ll see that some parts of the walls are shielded with moss, giving them an ancient look. Hike along the Savage Gulf Loop near Chattanooga for about nine miles and you’ll be compensated with views of tall and unspoiled waterfalls, otherworldly swimming holes, sandstone craters, and more than 50 miles of trails. 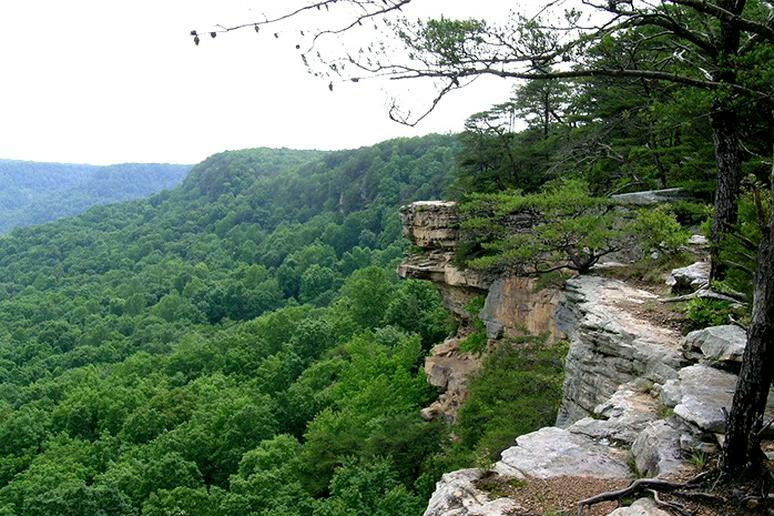 Anywhere you turn you’ll see hardwood forests, towering cliffs, and odd rock formations. One of the most expansive views is located at the 150 foot bluffs near Stone Door, a deep crack which provides a natural staircase into the gorge below, according to Roots Rated. Backpacker Magazine has named Big Bend (South Rim Trail) & Guadalupe Peak as some of the Best Day Hikes in America. Big Bend is one of the best national parks for camping in the country. Chisos Basin is described as being surrounded by tall, scary cliffs and is a prime spot, as it’s situated close to many of the park’s most popular trails. 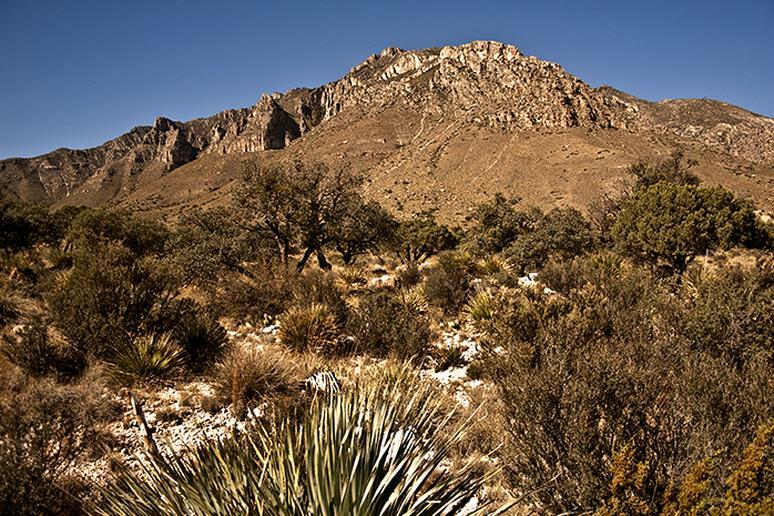 As for the Guadalupe Peak Trail, the view from the "Top of Texas" (8,751 feet) is exceptional. The 8.5-mile roundtrip trail is very steep, with some areas exposed to cliff edges. You will be going about 3,000 feet in elevation gain. 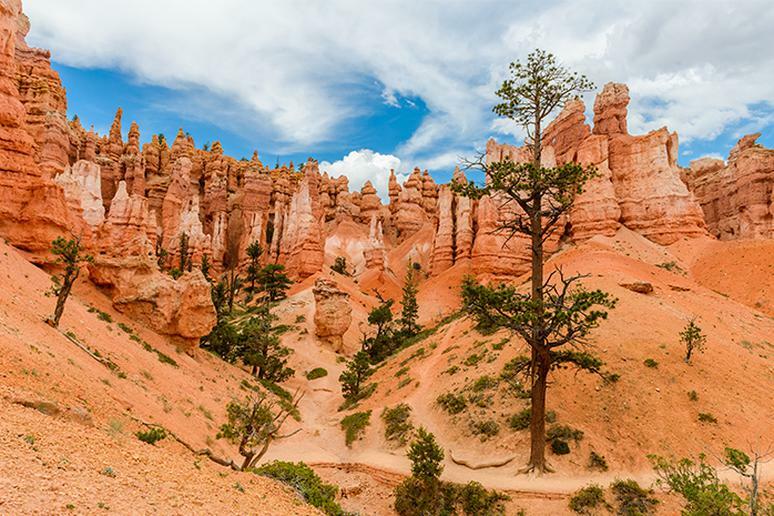 Any view of Utah’s Bryce Canyon is like a scene of a fantasy movie. The sandstone spires displayed in startling labyrinths, bright and contrasting colors, and the hoodoos will take your breath away. The Queens Garden/Peekaboo loop, about 6.5 miles, is the park’s best known hoodoo hike. Descend into Bryce Amphitheater and then go back up along the Peekaboo Trail to pass by a ridge rife with hoodoos. You’ll be doing a lot of going up and down, and lose and gain, for more than 2,300 cumulative feet. Other spectacular hikes in Utah are the Cedar Breaks National Monument and Angels Landing in Zion National Park. You are not likely to meet a local resident who has not hiked in Camel's Hump State Park at least once in their life. It’s is one of the most climbed mountains in the Green Mountain State. 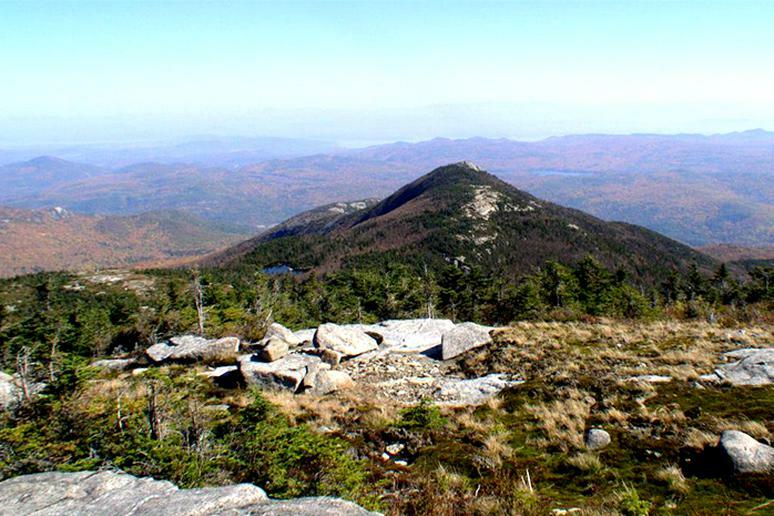 Camel’s Hump, despite being barely over 4,000 feet, also has a natural timberline, leaving the top of the mountain with clear colorful and scenic panoramas from all sides. 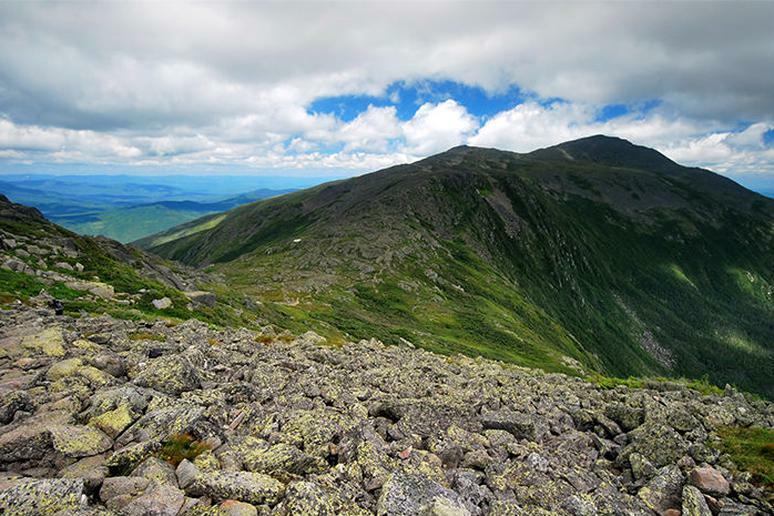 “On a clear day you can see Mount Marcy, the highest in New York State and Mount Washington, the highest in the northeast as well as all of Lake Camplain, and much of the Vermont countryside,” according to SummitPost. 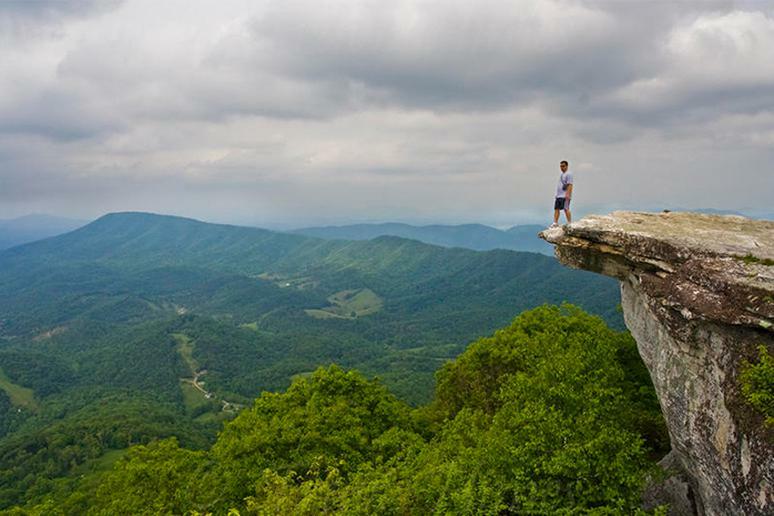 McAfee Knob is probably the most photographed site along the iconic Appalachian Trail. It’s at the very end of a terrifyingly tilted rocky mountain, literally sticking out into the air. Hike for about five miles and you’ll see the gorgeous Catawba Valley, Tinker Cliffs to the north, and the Roanoke Valley to the east. 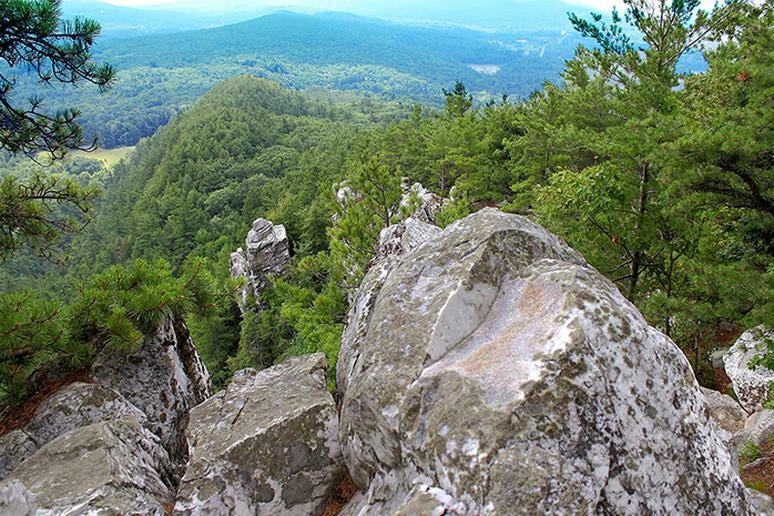 Another popular hike is the Hawksbill Mountain, the highest peak in Shenandoah National Park, at 4,049 feet. 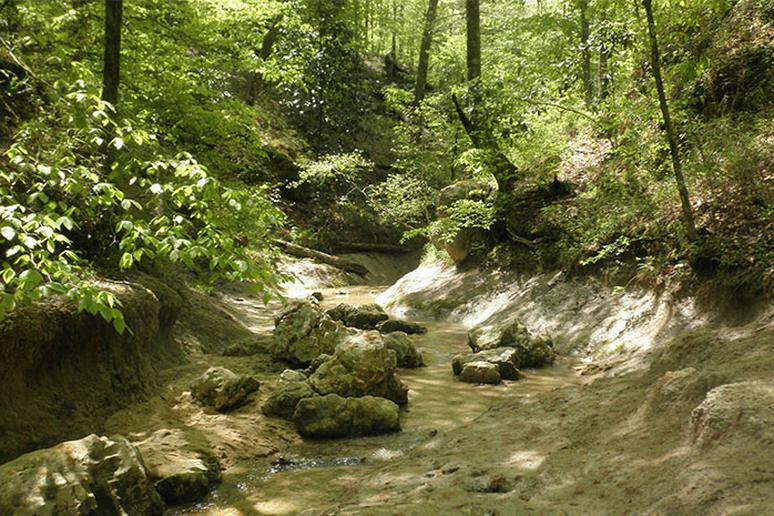 Follow the A.T.-Hawksbill Loop for a moderately difficult 20-hour hike. 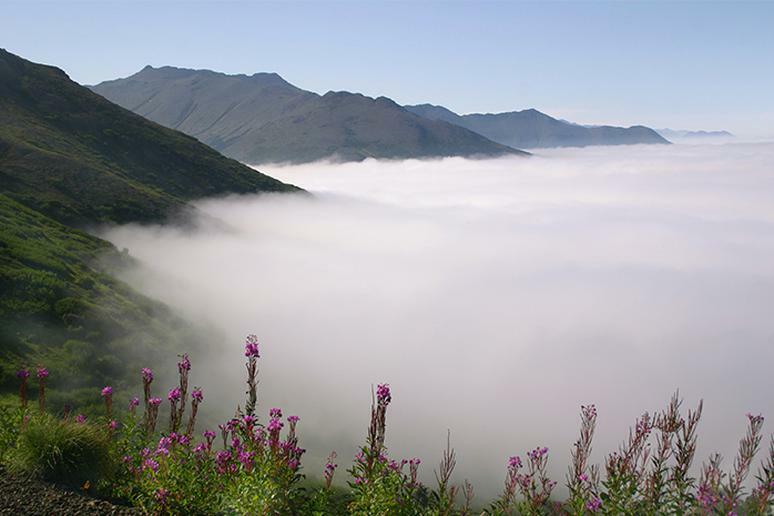 Horseshoe Basin is one of the few places in the Lower 48 to contain arctic tundra and is home to bears, deer and bighorn sheep, according to the Washington Trails Association. The 12-mile trail in North Cascades - East Slope is perfect for hiking between July and October. Climb the crests, see the Canadian border monuments and camp under the stars at night. 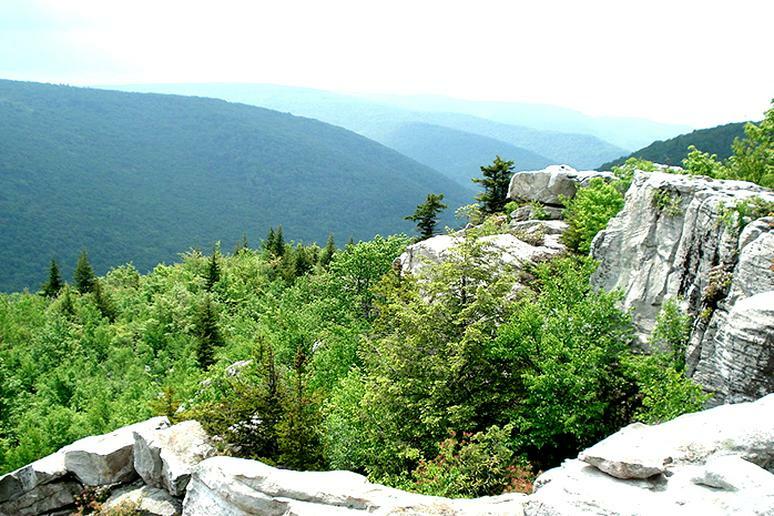 The 17,000 acre Dolly Sods Wilderness Area in the Monongahela National Forest will have you hiking through green pastures, streams, trees, and many remote spots. You can choose trails totaling more than 50 miles. It’ll take you several days to complete all of them. 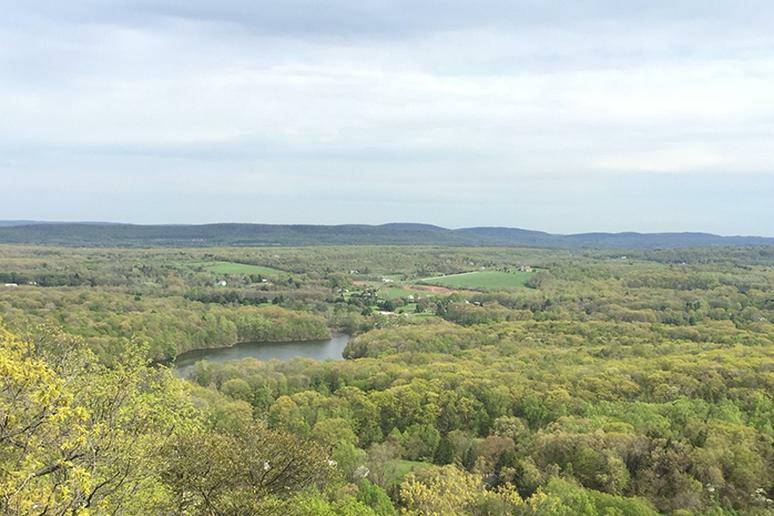 Don’t miss the Rocky Ridge Trail, a 2-mile lightly crowded loop, for stunning forest views. 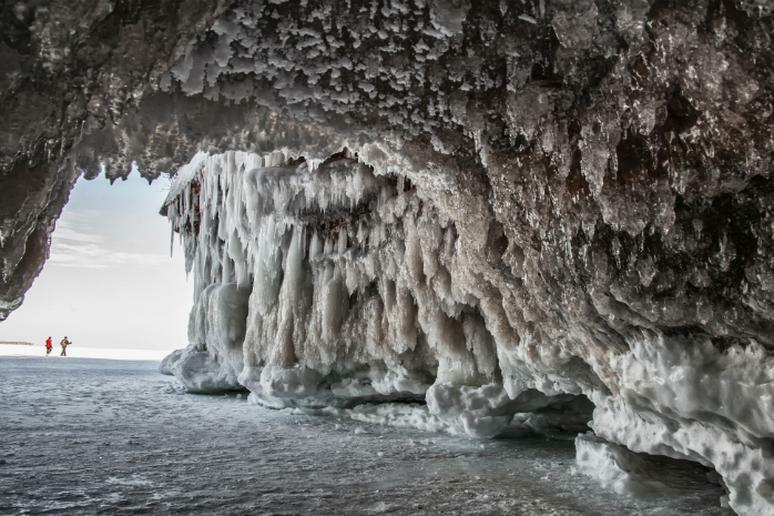 “Sandstone sea caves, carved by waves and ice, are the signature landmark of the Apostles Islands area,” according to Trails.com. A mile of shoreline east of Meyers Road offers the only opportunity to view them on the mainland. You’ll be crossing several ravines for a total of about five miles of an out and back trail. The best time for a hike is from May until October. Other popular routes are Hidden Lakes Trails and the North Kettle Moraine, the trail segment with the longest continuous stretch of woods in the Kettle Moraine State Forest. Walls of Jericho is a 6-mile trail located in Alabama. The trail starts going downhill. 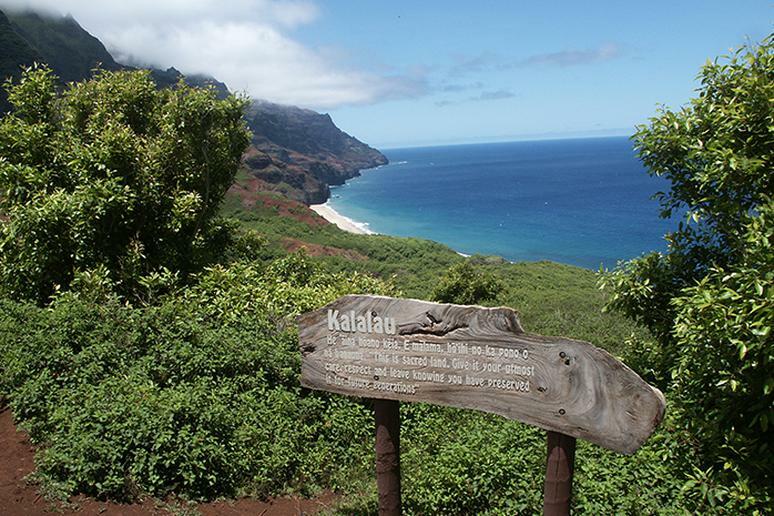 It can be a strenuous hike on the way back up, but visitors say it’s definitely worth it. Capture views of waterfalls, scenery and swim in a swimming hole if you desire. You also have the option to camp out overnight. Other hikes in Alabama include Natural Wells Trail in Montesano State Park and the Sipsey Wilderness hikes in Borden Creek. The best hike in Arizona is definitely the Rim to Rim hike of the Grand Canyon. Visitors say that to truly experience the canyon you have hike for two or more days. If you want to camp out, make sure to obtain a Backcountry permit a few months in advance. 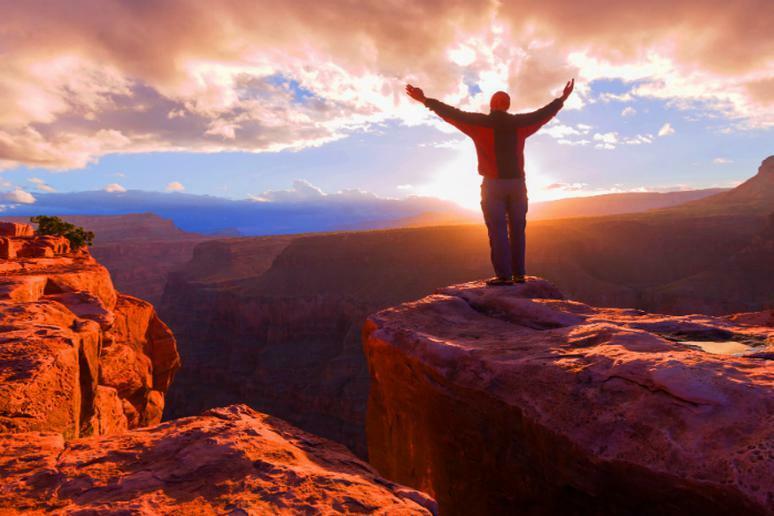 Tip: Experience the North Rim; it’s the more rugged and less touristy section. 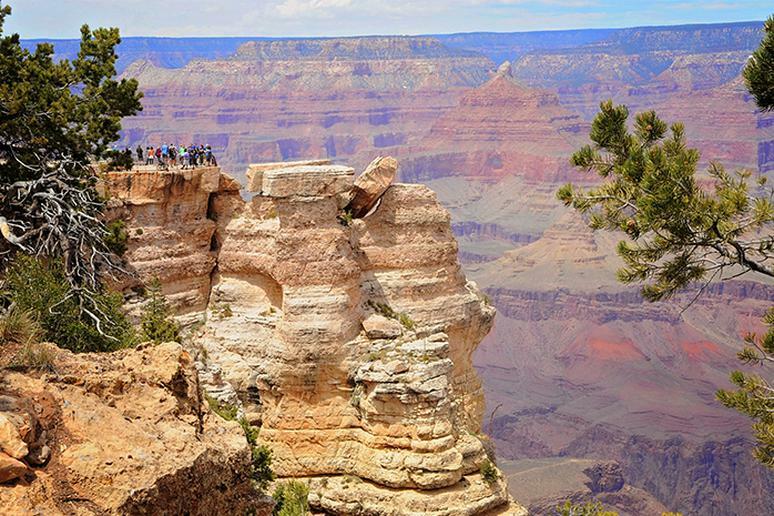 Check out Bright Angel Point and Point Imperial for some of the best views of the canyon. Located near Evergreen is the famous Maxwell Falls hike. According to Day Hikes Near Denver, “it’s a perfect Colorado family hike with a variety of terrain, and the it takes you to one of the closest waterfalls in Denver.” There are three different hiking options to choose from – a 1-mile hike, 3-mile loop and 4- mile trek, all of which take you to Maxwell Falls. If you are a nature lover, you will love this trail. 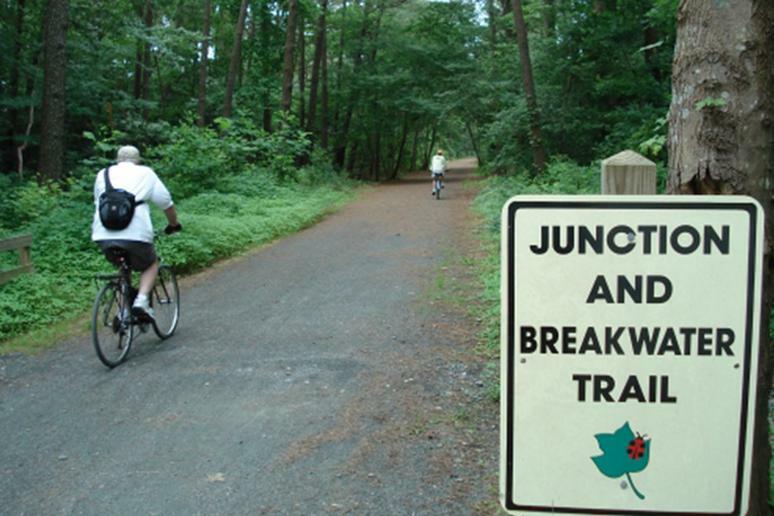 The Junction and Breakwater Trail is located in Cape Henlopen State Park. According to TrailLink, the trail is mostly crushed stone. It runs from Gills Neck Road in Lewes to the town of Rehoboth Beach. The trail provides views of wetlands, passes through a scenic overlook on a wooden bridge and offers views of Holland Glade and incredible wildlife. 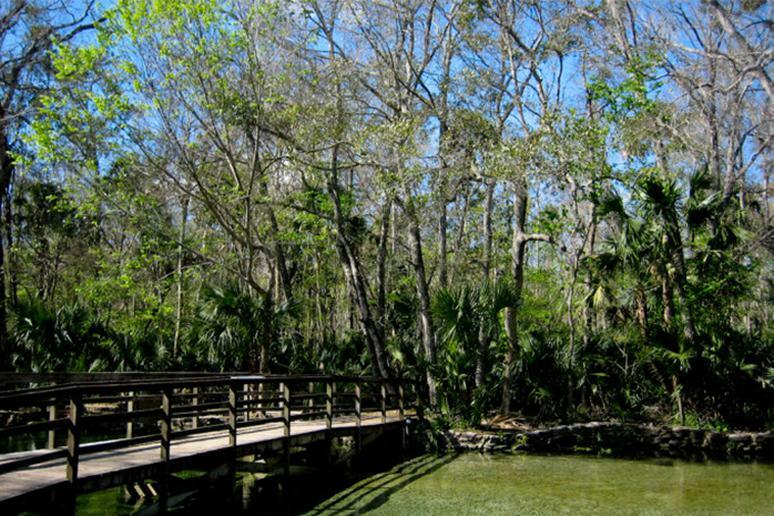 Wekiwa Springs State Park is one of the busiest state parks in Florida. It consists of “more than 42,000 acres protected along the federally-designated Wild and Scenic River basin among several adjoining state parks,” according to Florida Hikes. Explore the wilderness on the Wekiwa Springs Hiking Trail, view incredible landscapes and catch a glimpse of areas where Florida back bears and deer’s roam. 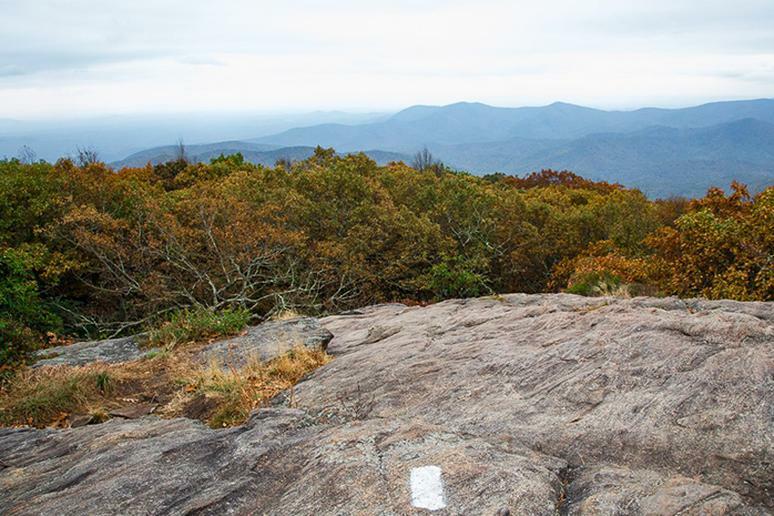 Hike the incredible Byron Reece and Appalachian Trails on this 4.3-mile Blood Mountain Trail – one of the most popular day hikes in Georgia. 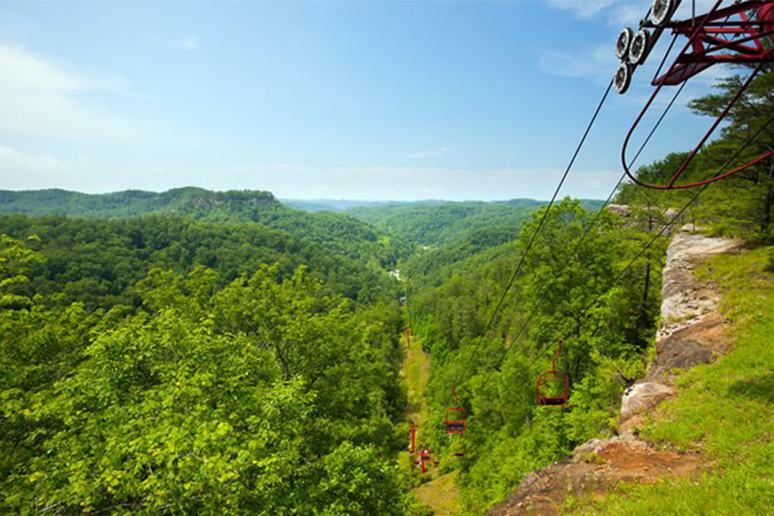 Experience stunning summit views, mountains, valleys and the colorful landscape (atlantatrails.com). Other hikes in Georgia include Pine Mountain, Cloudland Canyon State Park, Fort Mountain State Park and Red Top Mountain State Park. 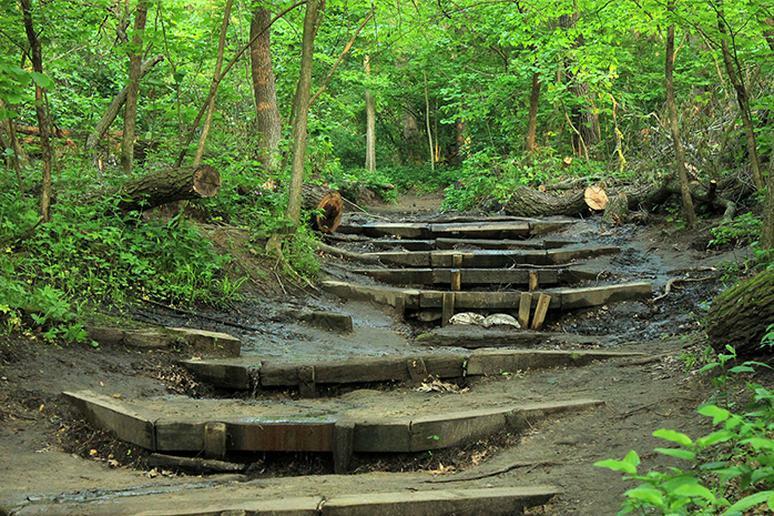 The best hikes in Illinois are in Starved Rock State Park. It is composed of 13 miles of well-marked hiking trails. You can pick your trail based on your skill level. Pass waterfalls, canyons, incredible wildlife and tons of wildflowers and plants. Bonus: Guided hikes are offered year-round. Click here for more information. 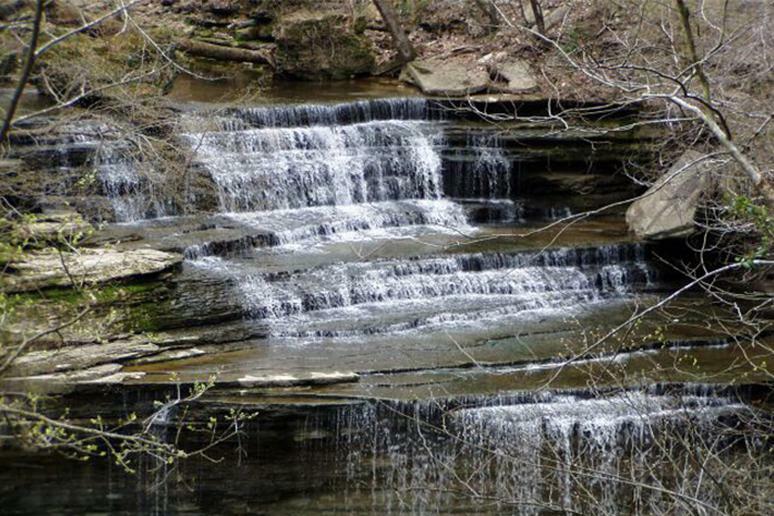 The Clifty Falls State Park Loop Trail is said to be a bit difficult. It is a 5.7-mile loop trail. Experience caves, forests, rivers, waterfalls and wildflowers. A review on alltrails.com said: “This place was awesome. Hiked about a month ago. Absolutely breathtaking. 3-4 water falls as high as 85-90feet. Some trails really challenge your endurance and decision making. Trails well marked. Views from on top and at the base. Definitely recommend to see.” Bonus: You can bring your dog on this trail but must be kept on a leash. 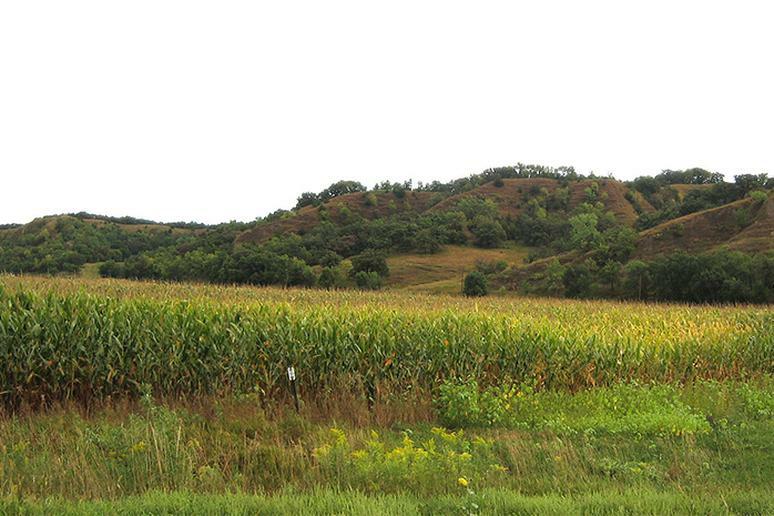 Located in Western Iowa is Loess Hills State Forest. It’s a 5.6 mile lightly trafficked loop trail, according to alltrails.com. Loess Hills is comprised of approximately 11,600 acres and, with the exception of certain areas, the entire forest is open to hiking. Visitors say the trails are great and the scenery is incredible. Other hiking options in Iowa include Backbone State Park, Effigy Mounds and Ledges State Park. 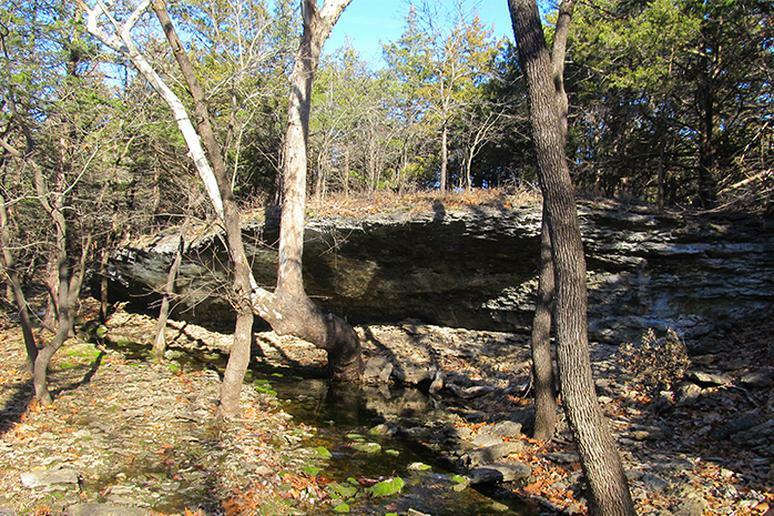 The best hike in Kansas is the point to point Elk River Hiking Trail. The trail is accessible year-round. Visitors say that it’s not difficult but it is lengthy. Cross small streams and narrow canyons. 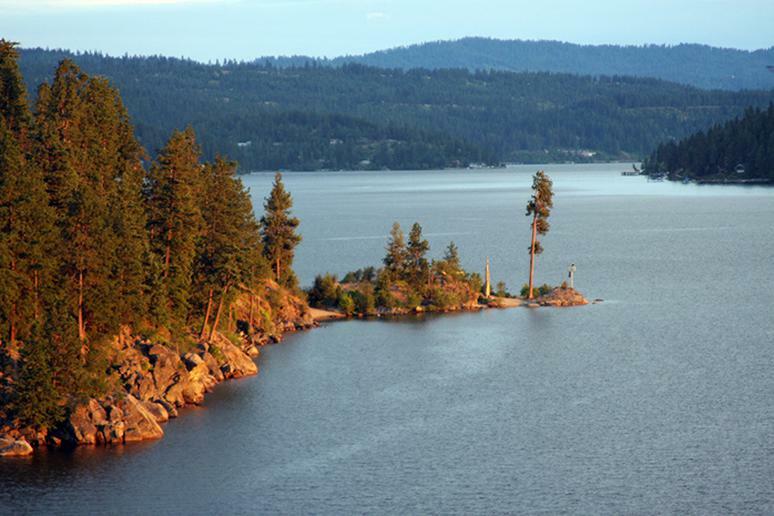 Also view forests, lakes, rivers, waterfalls, wildflowers and tons of wildlife. There are also great camping sites nearby. The Natural Bridge and Hood Branch Trail is a quieter trail. It is a 5.4-mile loop trail that offers wildflower viewing, stunning streams and rock outcroppings. It’s open year-round. Visitors say it’s a great day hike and offers great views during the winter months of surrounding cliffs. The trail ends at the top right at the Natural Bridge Arch. Also look at Mammoth Cave National Park. Located less than two hours from New Orleans is the 6.2-mile loop, Gorge Run Trail. If you’re looking for a shaded hike and one that is good for all skill levels, this is the perfect trail for you. Visitors say the trail is well marked and easy to access. Capture views of a variety of wildlife, lakes, rivers and wildflowers. Also, don’t forget explore Fricke’s Cave and Bogue Chitto State Parks beach. 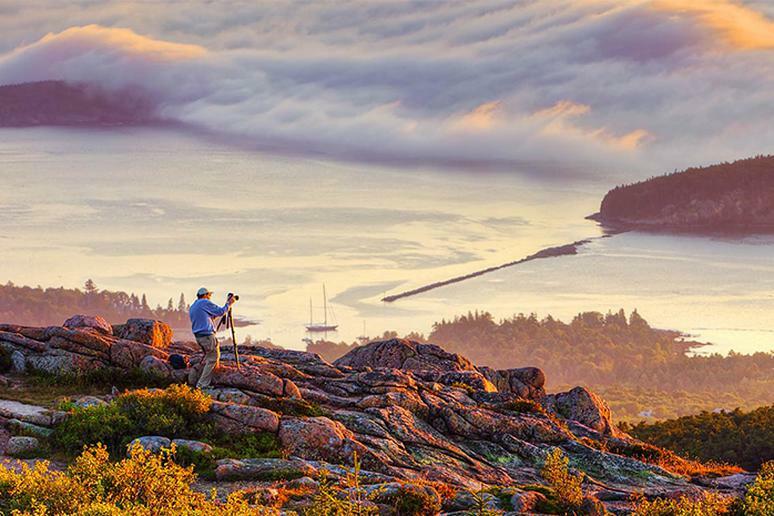 Located in Acadia National Park is Cadillac Mountain – the tallest mountain on the U.S. Atlantic coast at approximately 1,530 feet. You can hike a variety of trails to get to the top of the mountain. However, the Cadillac Summit Path is the best way to view the mountain. It is a paved pathway, only about 0.3 miles in length. It offers incredible panoramic views and viewing platforms with signs that describe the history of the park. 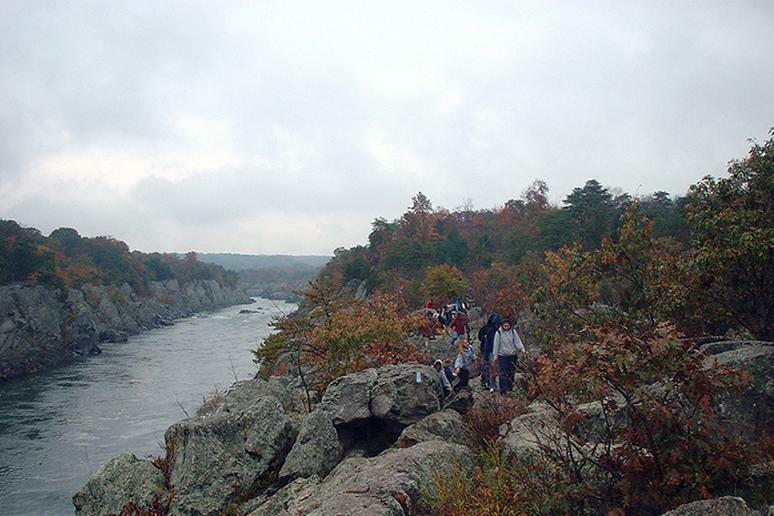 The Billy Goat Trail is by far one of the most popular hikes in Maryland. It’s about 7.8 miles long. 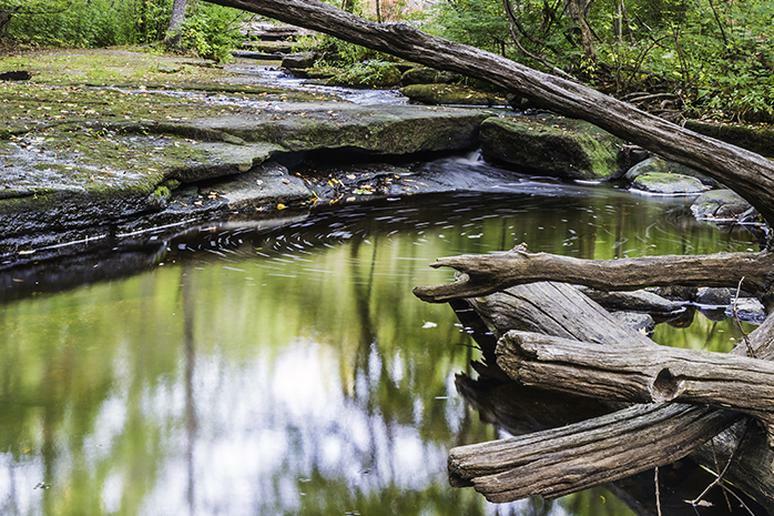 Jump over rocks, capture views of the Potomac River from approximately 50 feet above and pass small ponds, six streams, wetlands and cross a small log bridge (Maryland Parks and Forests). Click here for more information. Chapel Trail Mosquito Falls Loop is said to be the best loop to day hike in Michigan. 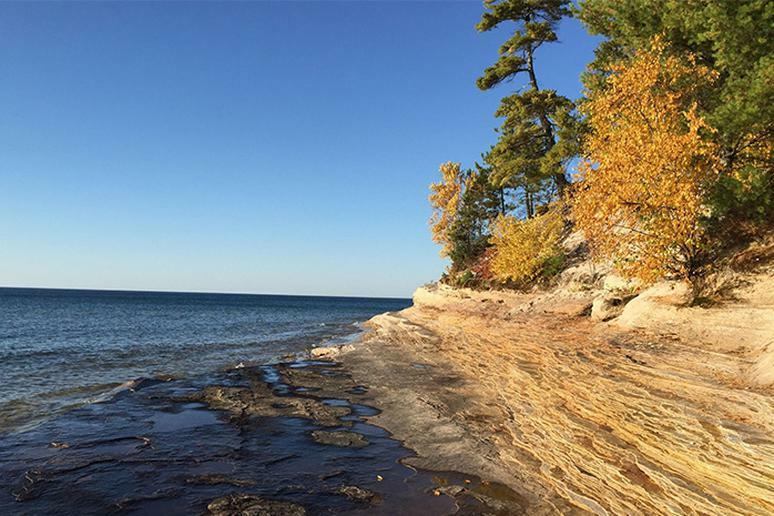 According to mymichigantrips.com, this 10.4-mile loop passes two waterfalls and the middle segment follows the Lakeshore Trail along the top of the Pictured Rock Cliffs. View Indian Head, the stunning sandstone walls and the beautiful beach on the top of Grand Portal. 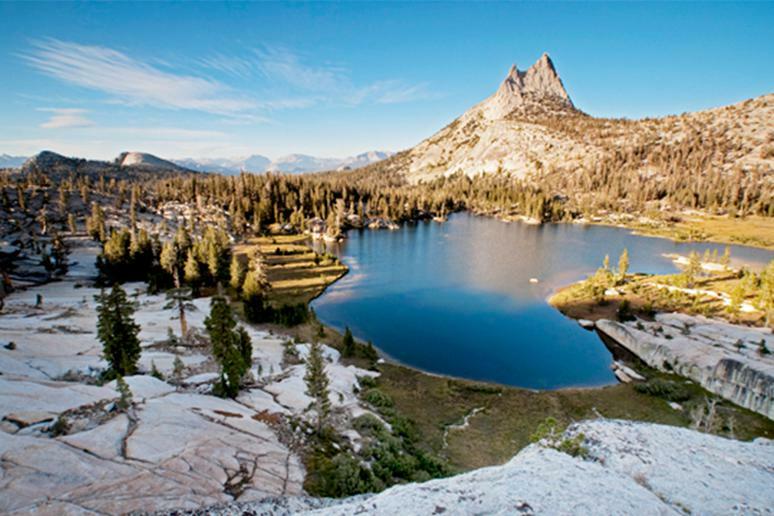 Bonus: You can turn your hike into an overnight stay at one of their backcountry campgrounds. The best hiking in Minnesota is Eagle Mountain. 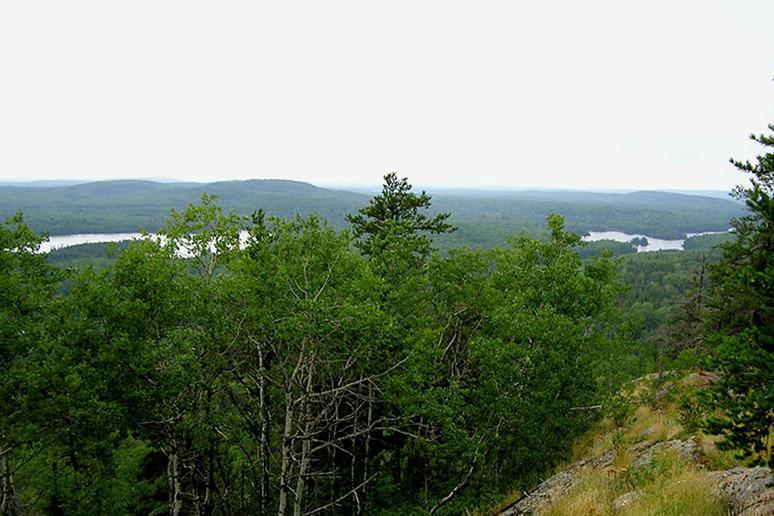 It’s the highest point in Minnesota at 2,301 feet and reaches an elevation of 2,301 feet. The Eagle Mountain Hike is approximately 7 miles round-trip. It can be strenuous, due to its steep hills, but visitors say it’s worth it. Enjoy views of the Zoo Lakes, Lake Superior and Brule Lake (bwca.cc). Tip: Sturdy footwear is highly recommended for this hike. For people who believe to be advanced hikers, Cathedral Canyon is the hike for them It’s a deep canyon situated in the St. Francois Mountains, and, according to localtrekshiking,com, it’s also a “seemingly remote part of the Mark Twain National Forest.” There are high rock bluffs that tower over a boulder billed stream and, according to visitors, the scenery is magical.